This award features a clear crystal circle with bevel-cut edges giving this award a unique and interesting effect. The Faceted Edge Circle Crystal Award stands on a striking black base and is available in three different sizes reaching the heights of 5", 6", or 7". 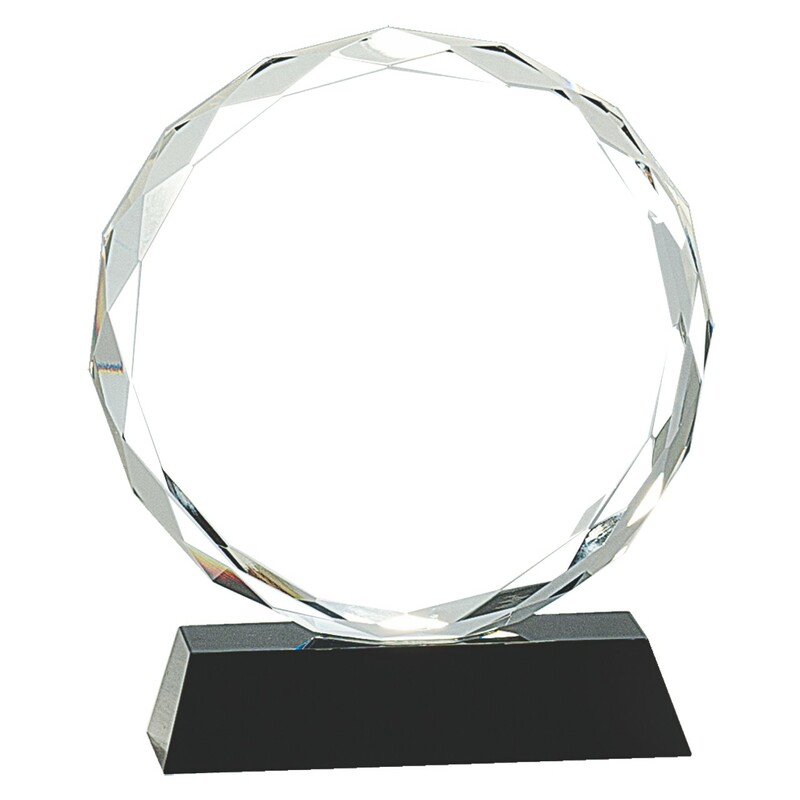 Complete with up to eight lines of frosted engraving, this trophy would make a great addition to your organizations next event, and will help you to recognize hard working individuals.